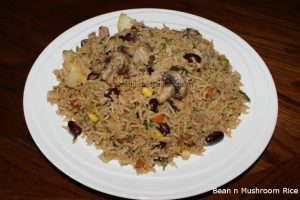 In a pot, add some oil and cook the onions until soft then add the beans, potatoes, frozen vegetables and the seasoning. Mix well. Next add some water and bring it to a boil. Now add the rice and cook until 70% done. 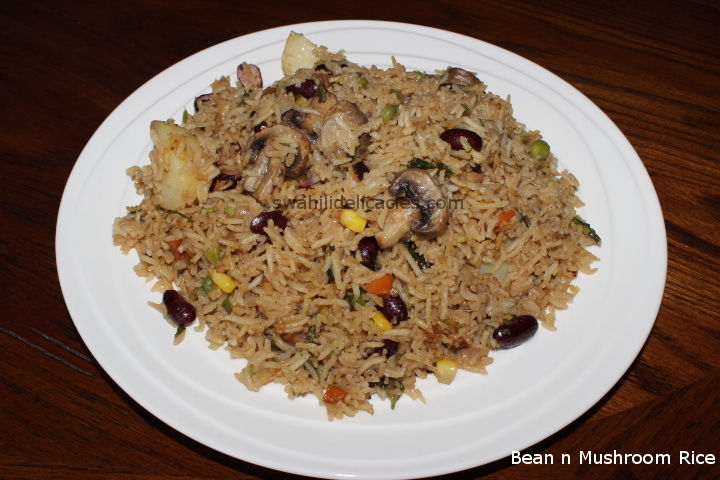 Place the mushrooms on top of the rice and bake the rice in the oven until fully cooked. You can sprinkle some chopped coriander to the rice before serving if desired.